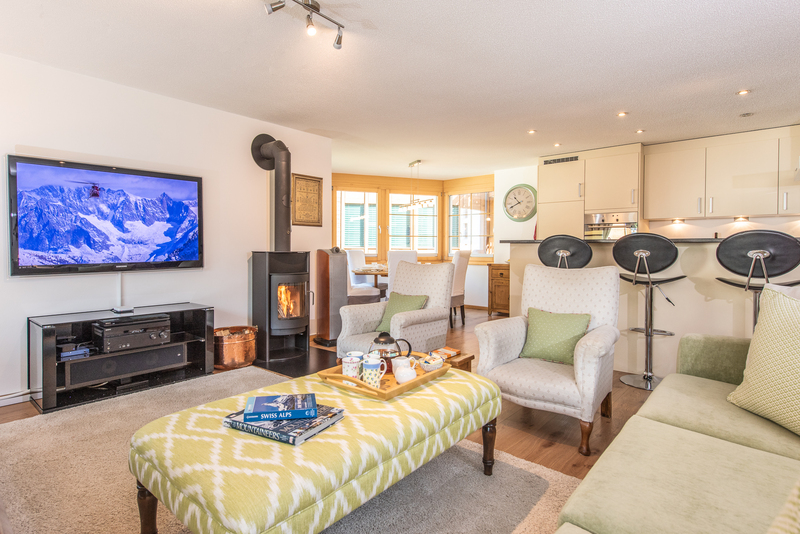 Chez Nous combines the convenience and privacy of a self-catered holiday with the intimacy and comfort of staying in what feels like a private home. Our building is a 5-minute walk from the main church and has gorgeous views of the Matterhorn over one of the few fields that remains in the centre of the village. The apartments have all been decorated with style and attention to detail to create a warm living space that makes you feel at home the moment you walk in. 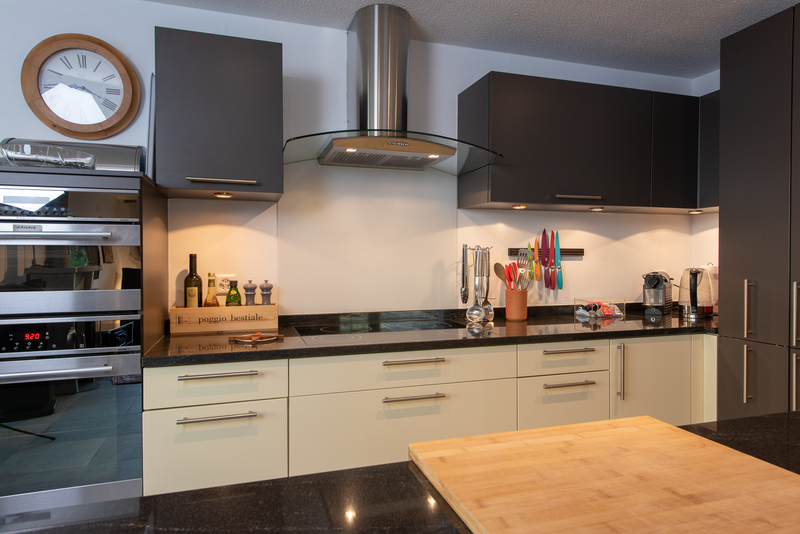 Four apartments are available to rent so bigger groups can be together in the same building but also able to retreat to their own space: Le Corbassiere sleeps 6; The Mischabel sleeps 6-8; Le Petit sleeps 4; L’Etoile sleeps 2. 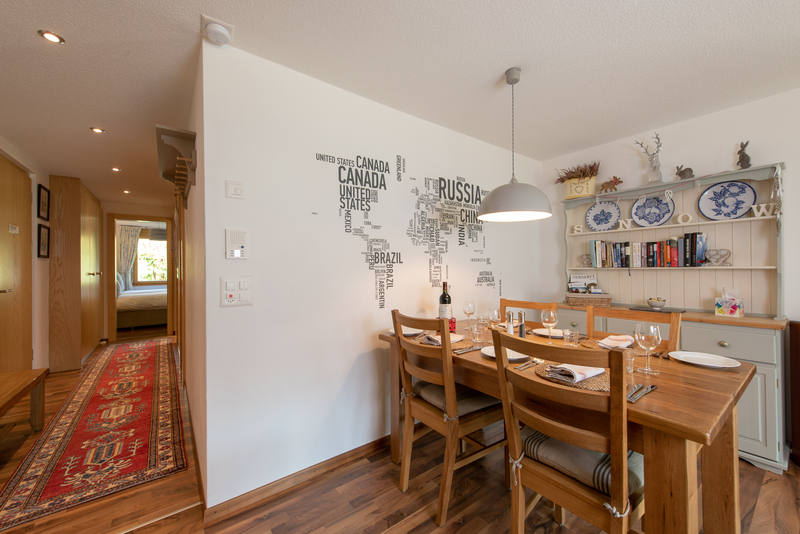 We know from experience that staying in a holiday apartment can sometimes feel rather alien. 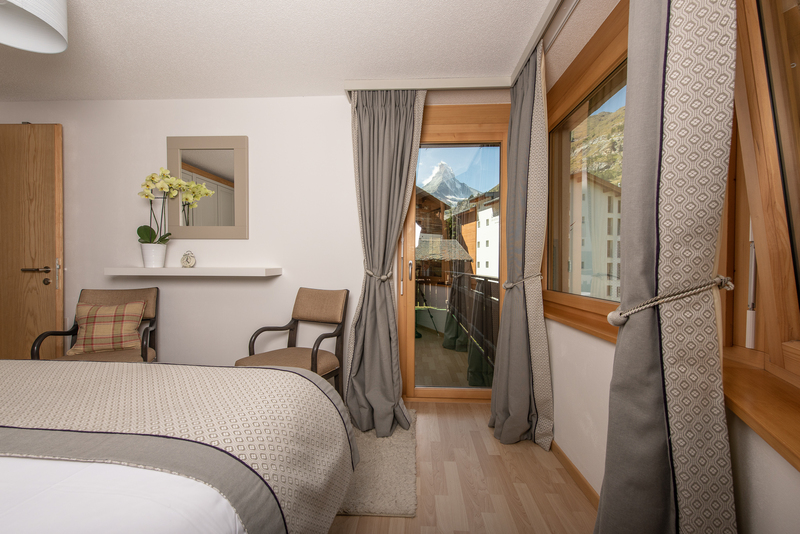 As well as stunning views, all of our apartments have signature Chez Nous touches that transform them from a holiday rental into a real home for your stay in Zermatt.